In the 90s, Lara Croft was the undisputed champion of the action adventure genre. But after more than a decade at the top, fellow adventurer Nathan Drake crashed spectacularly onto the gaming scene with his eyes on the coveted prize. Whether the iconic British explorer still offers the better gaming experience has been a topic that's been fiercely debated by players ever since. 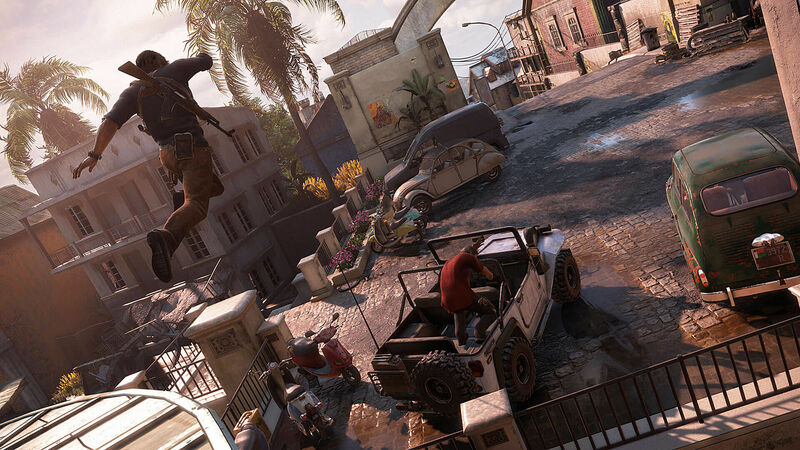 Initially, Uncharted arguably gained the more favorable following -- and for good reason. It pushed boundaries on PS3 with thrilling set pieces, likeable and multilayered characters and an atmosphere that perfectly encapsulated that family adventure movie experience. While in the latter part of the 2000s, Tomb Raider was still finding its feet with new developer Crystal Dynamics who struggled to really evolve the franchise's gameplay and character into something that felt relevant to modern gamers. This generation though has seen a complete U-turn for both franchises. 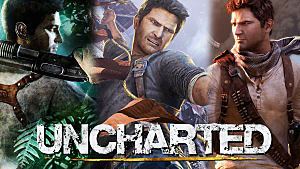 Uncharted hasn't provided any real innovation since it's second installment - 2009's Uncharted 2: Among Thieves -- while the Tomb Raider series has not only managed to completely reinvent itself, but also effectively propel the genre forward for the new generation. 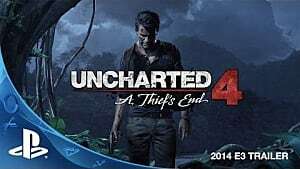 Uncharted 4 undoubtedly has the stronger narrative, but staunchly focuses on its setting, story and characters to the detriment of the gameplay and ultimately the player's enjoyment. This is the first post-The Last of Us release for developer Naughty Dog, and it clearly suffers for it. The studio has seemingly forgotten that Uncharted's story isn't as strong or meaningful as Joel and Ellie's desperate struggle for survival, nor is it the main reason people play the game. The long, drawn-out narrative results in pacing that can only be described as awful, with bits of action-packed brilliance padded by sequences that are not only painstakingly lengthy, but also often wholly unnecessary. For example: in a sequence early in the game, we explore Drake's attic -- picking up objects relating to his past adventures in an attempt to provoke some sort of poignant sense of nostalgia that, unless the series has had some profound effect on you, is just not there. It's just pure, unashamed self-indulgence. In a much later chapter you're forced to explore a mansion for what feels like an eternity as a young Nathan. It's superfluous padding and a big old waste of time. Even the more interesting narrative elements, like the dynamic between the brothers and baddie Rafe, suffer because it just takes far too long for events to play out. 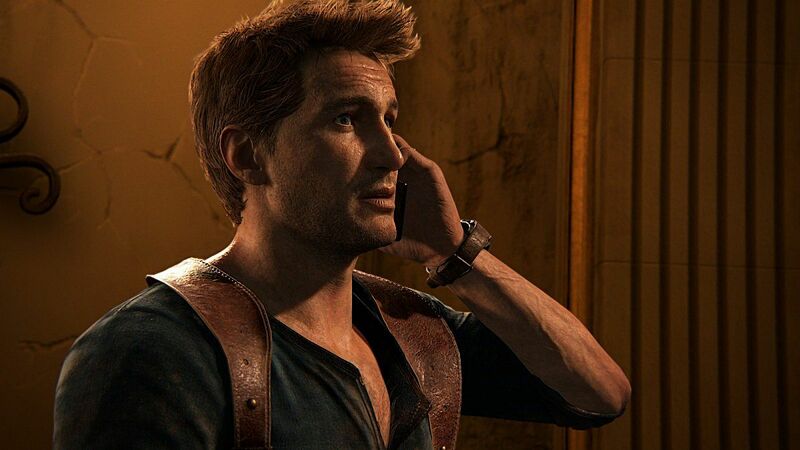 It all makes Uncharted 4 feel more like a movie that occasionally asks for some audience participation than an actual game. Meanwhile Tomb Raider's narrative probably isn't going to win an Oscar anytime soon, but it adeptly serves its purpose to propel Lara through some fantastically designed levels without impeding the gameplay the way Uncharted 4 does. And gameplay is where Rise of the Tomb Raider far outshines its rival -- sprawling levels that can be freely roamed, with lots of hidden goodies to uncover. Like Uncharted, Rise of the Tomb Raider has a multitude of treasures and journal entries to scavenge for, but also rewards the player for going off the beaten path by offering useful items like weapon parts and coins to purchase extra kit and experience to unlock upgrades. In addition to a wealth of weapon choices, Lara also gains new equipment, like fire arrows and a grapple axe. This opens up the world, giving that sense of progress that it's counterpart sadly lacks. Uncharted 4 evolves its gameplay from previous entries by giving Nathan a grappling hook, but that's it. The gameplay never changes, and once you've swung around one set of ancient ruins you've kinda swung around them all. 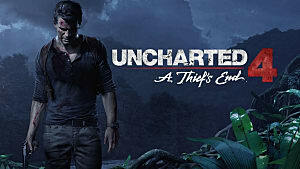 Arguably Uncharted's biggest draw was its phenomenal set pieces, which have lamentably been scaled back for this installment. Rise of the Tomb Raider, on the other hand, offers many visually spectacular, pulse-pounding moments -- whether it's outrunning avalanches or making daring escapes from crumbling tombs. These moments may not be realistic, which could partly explain their minimal inclusion in Uncharted 4, but damn if they aren't fun. 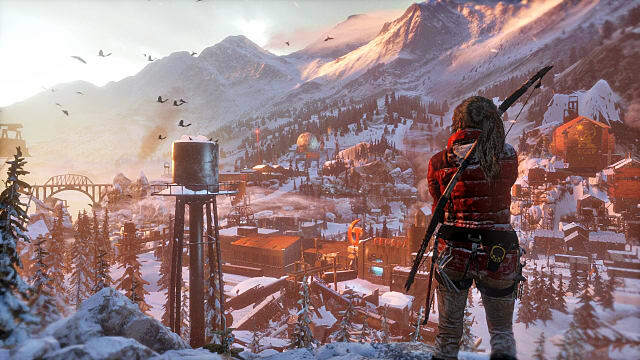 Rise of the Tomb Raider offers an open world intricately designed to encourage the player to explore multiple times and is populated with challenges and side quests, whereas Uncharted's levels are painfully linear and sparse in comparison. Sure they may be beefier environments than those seen in previous Uncharted entries, but there's really only ever one route to take and no reason or ability to return once the area has served its purpose narratively. The best aspect of Rise of the Tomb Raider is its Challenge Tombs -- optional areas that provide puzzles for the player. 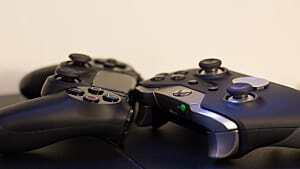 These are perfectly constructed so as not to impede the progress of those just wanting to blast through the game. But for those seeking respite from the action or looking for a little more challenge from their game, they are an absolute joy. All puzzles are physics and logic based; and while you never need the IQ of Einstein to solve them, they can have you scratching your noggin at times before that eureka moment. Uncharted's puzzles are considerably less satisfying. Not only are they non-existent for the most part, but when they do make an appearance they are rarely anything more than an insultingly simplistic exercise involving matching up symbols in order to advance towards the next excruciatingly long cutscene. 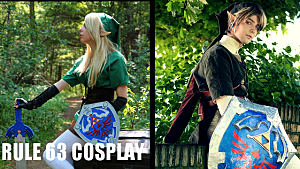 And so we come to combat. 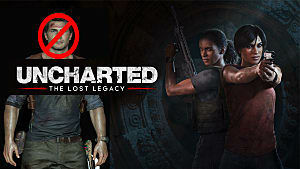 Here Uncharted seems to have something of an identity crisis. It keeps the solid gunplay from the previous games, but rarely lets the player appreciate it due to the emphasis it places on stealth. Nearly every enemy encounter in the game presents too large a number of enemies to go in guns blazing without quickly being met with the game over screen. So instead of having a plethora of guns ready to bring the pain in thrilling shoot-outs, enemy encounters are largely reduced to hiding in bushes waiting to silently take down enemies from behind. This would be fine, except the gameplay isn't smart enough to compare with the likes of Metal Gear Solid or Assassin's Creed in the stealth division. The simple level design and limited arsenal variation are designed for third person shooting -- and stealth feels not only out of place, but the fact it forces that style on the player makes it downright intrusive. 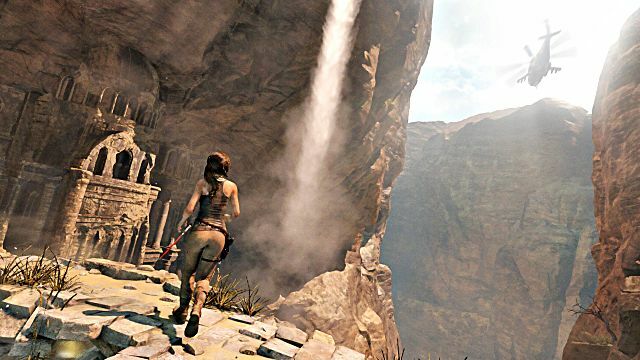 Tomb Raider constantly offers players a choice in tactics without feeling unbalanced. It also provides experience points, with higher rewards for more skillful feats like head shots or navigating an entire area without alerting anyone. This added to the range of weapons and crafted equipment on offer make for battles that are both varied and enjoyable. Plus Lara's bow remains one of the most satisfying weapons to ever grace games. Rise of the Tomb Raider doesn't reinvent the wheel, but it vastly overshadows Uncharted 4 in terms of actual fun. Drake's swansong sacrifices player enjoyment in order to pursue a deep narrative experience which a movie can satisfy in a lot shorter a space of time and without the hefty pricetag. Games are fundamentally an interactive medium and Rise of the Tomb Raider provides a user experience that is more cleverly designed, diverse and consequently vastly more rewarding than Uncharted 4's attempt to mould an uninspired game around a narrative that crushes itself under the weight of it's own self-importance.